Have you noticed anything strange about Habbo? Quite a few Habbos have! Click the “read more” button to find out more about it! Habbo have had some crazy changes going on lately and they have been a huge shock to us! The worst we’ve probably heard so far is that the Habbo Customer Help Service is no longer dealing with bans, mutes, and tradelocks. What you’re about to read, however, might make your jaw drop, especially if you’re a furni lover! 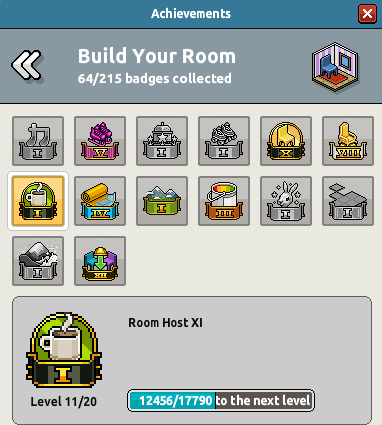 The furni mottos and achievements descriptions are gone!!! Is this really happening right now? Yes it is! 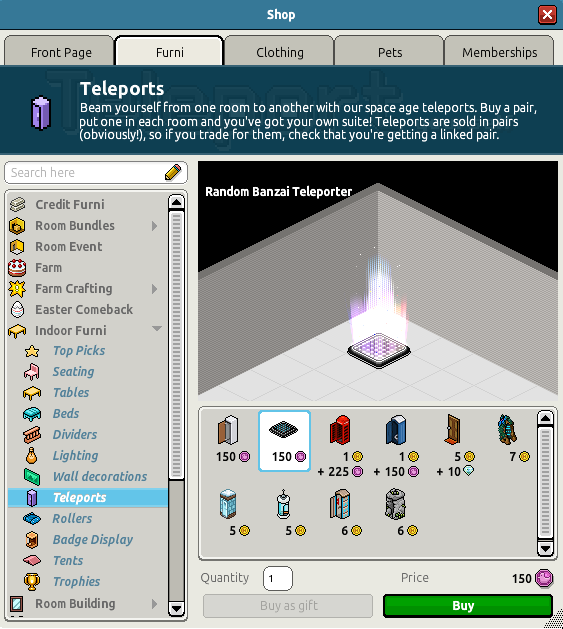 You could say that this is a bit problematic since Habbos can’t host furni motto rounds in games such as Telephrase and Trivia! You now also can’t see why Habbos received the achievement badges in their profile. Let’s take a look at some evidence that I’ve picked out. 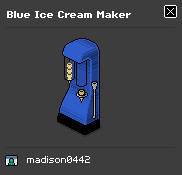 Normally the motto to this Blue Ice Cream Maker is shown as “Virtual Vanilla Rocks”, now it’s vanished, just like with all the furni in the hotel! Usually you would see the current badge motto you have above the progress bar; this has also disappeared, as with all the other achievements! I think this is a very crazy change and I think the mottos should be brought back! Who knows? Maybe this was just a glitch but only time will tell what this really is! What do you think about this change? Let me know in the comments section down below! Check out Habbox.com for articles, the radio and more! Join in on the discussion at Habboxforum.com! Oh heck no! Bring us our descriptions back!